It happened to me while I was in Portland. Random passersby would come up and go “What’s so special about these dolls?”. People are naturally curious about things like that, especially since it was a large group of people all with these strange dolls in their hands with the big heads and big eyes and small bodies. I’ve also explained what Blythe is all about to coworkers before. I try explaining what makes them so special now. 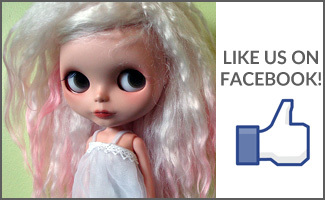 About the dolly community, how creative people can be, how people customize their dolls. This almost always seems to lead the conversation to “What do you mean people ‘customize’ them? I though they were expensive/hard to find/imported only!”. The uninitiated seem to think about the monetary value a lot of the time. 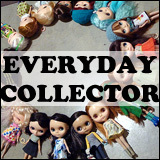 Maybe because they ask me how much a Blythe costs and I generally tell them – people tend to hand the dolls back straight away, or decline on wanting to hold her (kind of like me and when I first met a Parco). Going over the basics tends to help – don’t overload newbies with too much information. I tell them a little about the history, that they’re now made by a company called Takara in Japan (but manufactured in China). They have four eye colours, two face forward and then the other two face to either side. The dolls are about the same height as Barbie, but have similar body size/shape to Skipper (I only mention this when people go “Why don’t you just get a Barbie instead?”). Please don’t tug on both pullstrings at the same time (if the doll in question happens to have sleepy eyes). Most people are politely interested. Most people are curious, only because they’ve never seen a Blythe before and want to know why she has such a huge head (all the better to hold an eye mechanism, my dear!). What do you tell people when you’re explaining Blythe? This is a great post! I always get so embarrassed when strangers come up to me to ask questions about Blythe. I get all nervous and shy and start stuttering and babbling, “ohh…uh…see, back in 1972…um…Hasbro…uh…” lol. I think you’re right about keeping the answer short and to just a few details. Loved reading this post! it’s pretty much the same with me. just occasionally I meet someone who’s not intimidated and can be a little too rough on the girls… the other day I almost lost a shoe because of someone like that. 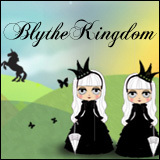 I actually love sharing the world of Blythe with people…I say pretty much what you say…starting with 1972 and going forward. Usually, people catch me taking pictures of my girls (like tonight!) and then I have to explain the “flickr” aspect of the girls too…like 365’s and the such. I have never had a bad experience talking to some one about them….